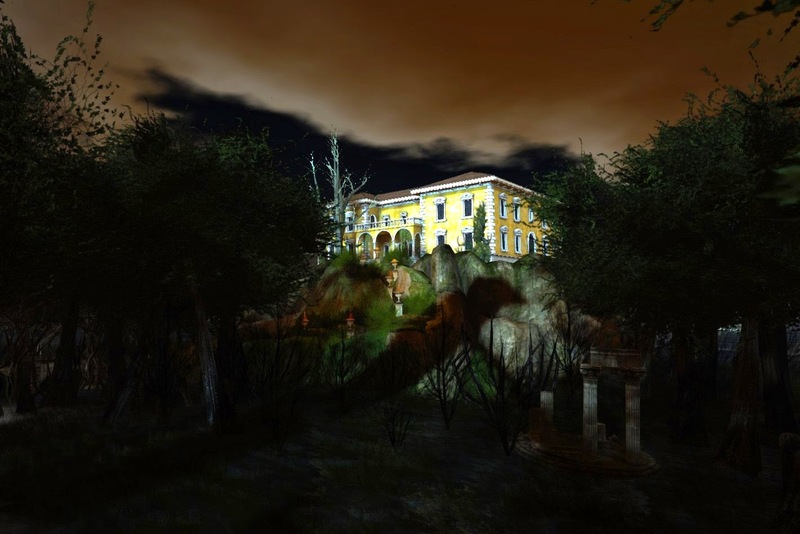 I finish my week-long tour tour of Second Life Halloween Sims by visiting Faircrest, a hauntingly beautiful destination that is also a bit unnerving. 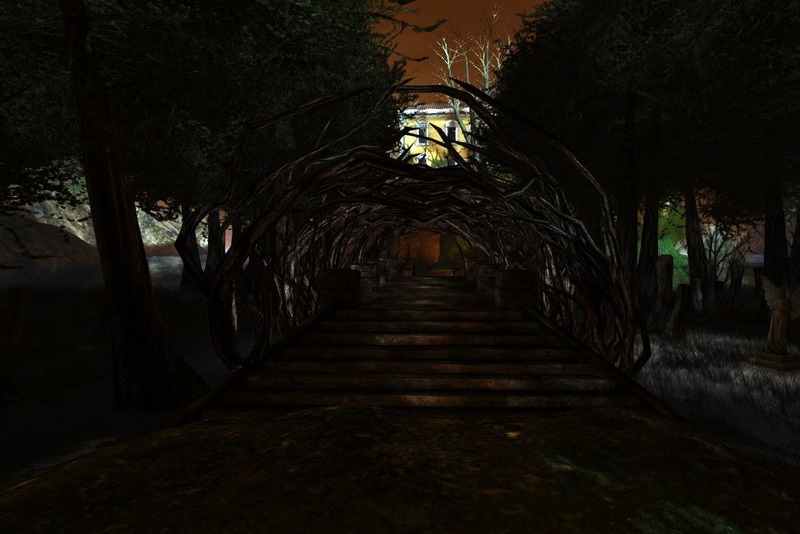 Twisted and dead shrubbery surround a mansion that is being used by a very strange cult -- where beauty and aesthetics are more important than gore. 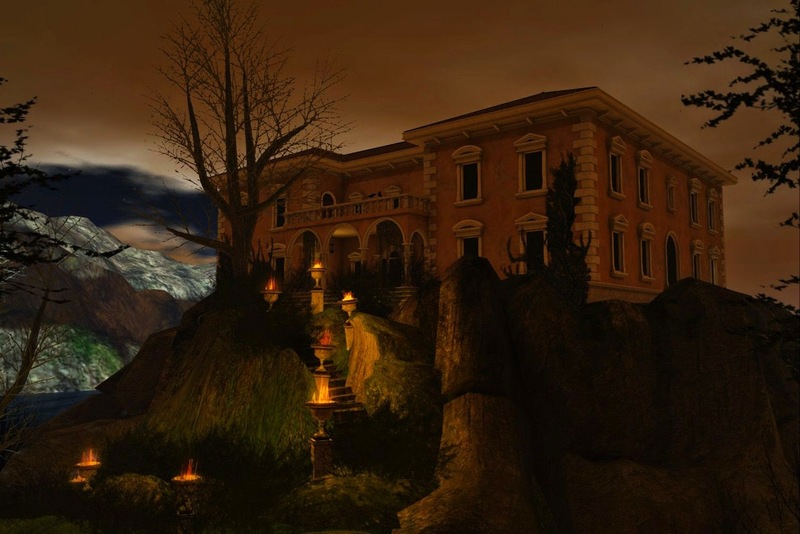 Ruins, both on the grounds and in the sea surround the main residence, which is bathed by very strange light, and is open to visitation. 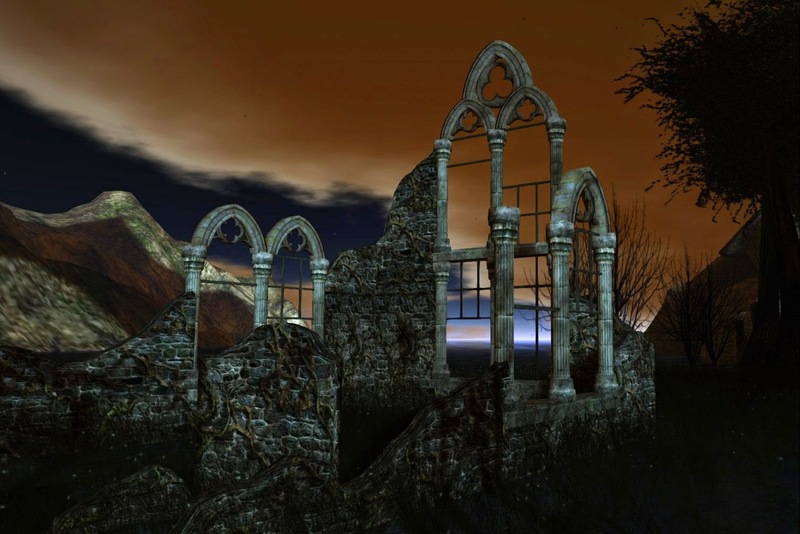 Make sure to visit the ruins and bare shrubbery of the exterior grounds. 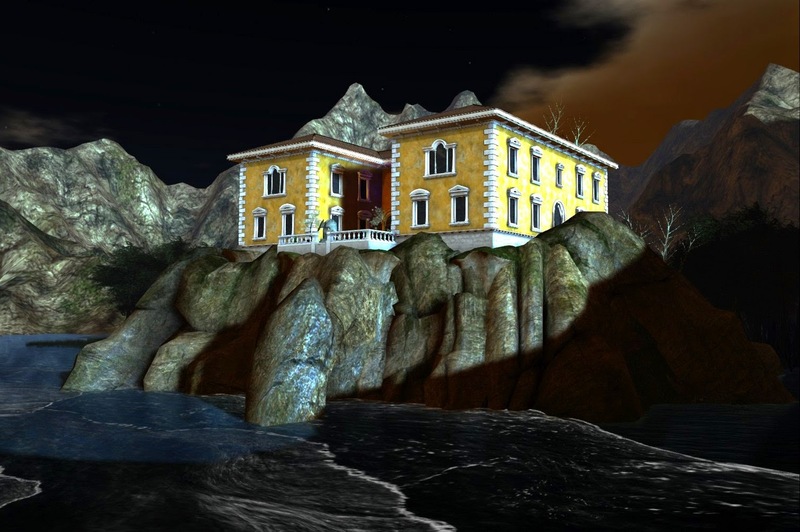 Faircrest is a private residential sim that is open to visitors but requests that they be respectful. 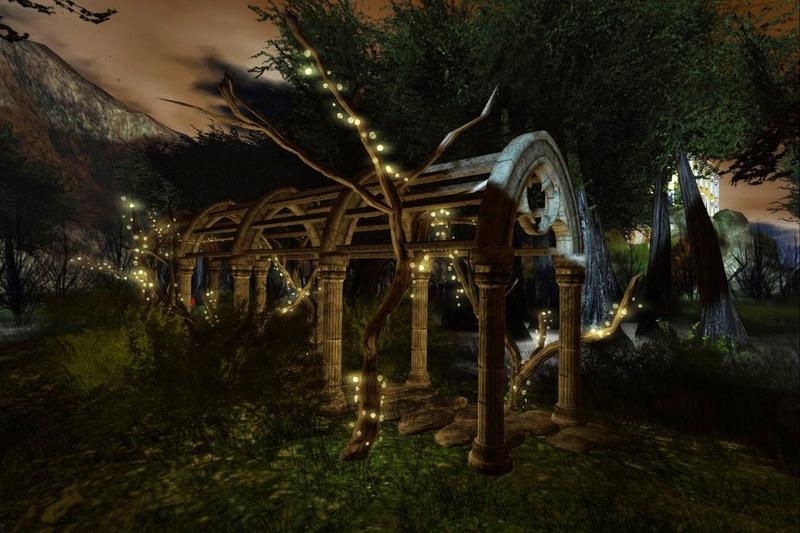 I used Windlight Sky Setting "TOR" Dusk Fairytale Glow for these images.